This project is located in Liberia, a country in West Africa, bordering Sierra Leone, Guinea and Côte d'Ivoire. 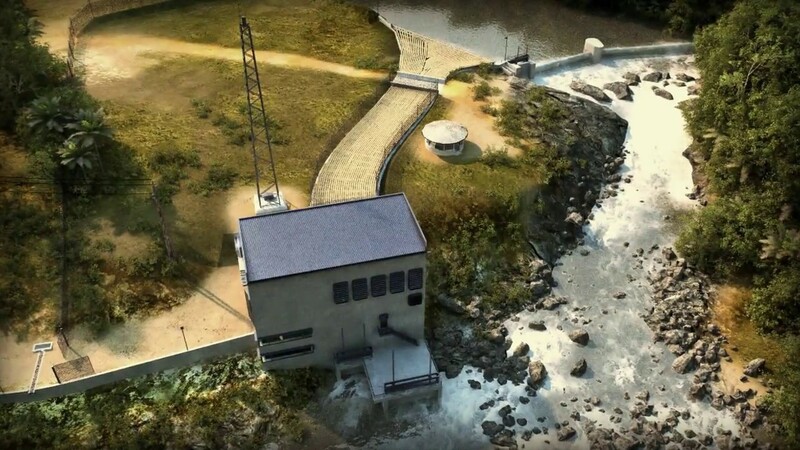 Preparing complete design and construction of this new hydropower plant was challenging due to the specific environment and its success shows how skilled and experienced work of HYDROPOL around the world is. This SHPP uses hydro potential of the Slo River and electrifies one of Africa's largest rubber plantations and other public objects. The developer of this project was the owner of the plantation, the Liberian Agriculture Company. Until the plant was operational, electricity was produced only by old and unsatisfactory diesel aggregates. The use of hydro energy significantly reduced operating costs of the factory. HYDROPOL provided the preparation of relevant studies, consulting and project design & engineering services as well as technological equipment delivery. Currently, HYDROPOL provides remote monitoring of this plant and consultation services. The power plant is sited to a waterfall footing with all structures and foundations blasted in rock. The whole complex is protected against floods by a small dam settled in the upstream. It was necessary to build 13 km of power line from SHPP LAC powerhouse to the LAC factory. The new SHPP is equipped with two Kaplan vertical turbines and produces 1 720 kW of electric energy with assumed year power generation of 4 282 MWh.